A short story collection focusing on young women coming of age in Britain of the 1950s/60s and today. Hadley’s admirers will not be disappointed. These pages are punctuated by her familiar calm, clear-eyed psychological acumen; by her delicate and precise lyrical descriptions (particularly of nature: 'the bluebells were like pools of water among the trees, reflecting the sky'); and by the formal freedom with which she roams through psyches and time ... Like Alice Munro, to whom she has more than once been compared, Hadley has the gift of making small canvases inexhaustibly new. She sees unsentimentally the subtle gestures that alter people’s lives forever; and charts, too, the instances when those gestures change nothing at all ... This zoom lens effect gives Hadley’s work the tenderness of wisdom: she grants readers an almost Buddhist apprehension of time’s inexorable levelling force. She captures childhood’s consuming immediacy; and with equal vividness, the confusions of young womanhood ... Compassionate and luminous, Hadley sees them all — or should I say, she sees us all: our travails, our fantasies and our small joys. Her meticulously observed, extraordinarily perceptive stories are as satisfying as Alice Munro's. Yes, Hadley is that good ... the ten tales in Hadley's book – seven of which were first published in The New Yorker — are instantly immersive ... Unlike many short story writers, who serve up slices of life cut so thin you're left craving more, Hadley offers both rich complexity and satisfying closure — so you never feel as if you've been precipitously evicted. The title story of Tessa Hadley’s outstanding new collection sits at the heart of the book. It is exquisite, haunting and serves as something of an index to the whole ... Hadley captures, beautifully, the feeling of events unfolding – often unanticipated, unpredictable – and is alert to the stream of recalibrations and negotiations at play as her characters try to process new experience ... Bad Dreams is remarkable not only for Hadley’s penetrating engagement with her subject matter, but for her extraordinary and distinctive range. It combines acerbic social observation and wry humour with moments of breathtaking delicacy and tenderness. This is a collection to be read and reread. 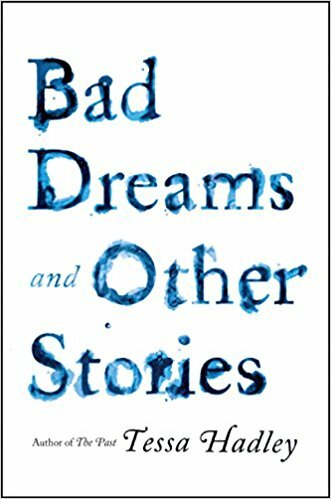 What did you think of Bad Dreams and Other Stories?